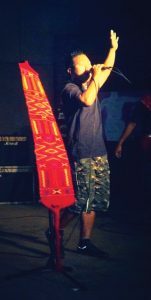 Samuel Ko nyak from Mon Town is an upcoming artist of the state whose songs are mostly focussed on social and political issues happening in the present society. 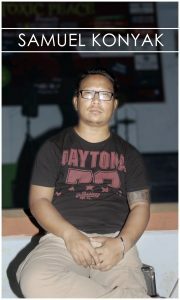 A participant at Naga Idol 2007, Samuel is also the vocalist of the band ‘Toxic Peace’ a progressive Folk Fusion Rock Band from the town. Crediting the 80’s and 90’s Rock music for his influence, Samuel Konyak says many young talented youths are growing in the state of which he is proud of but laments saying market is the problem and questions..Where do we sell our music? as written numerous of originals for his band ‘Toxic Peace’. EASTERN MIRROR: Most of your influences are bands that are primarily known for being artsy and progressive. How does that translate into folk fusion for you? 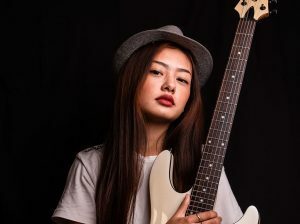 EASTERN MIRROR: From being a Naga Idol participant to fronting a rock band, have you faced difficulties in the transition from being a mainstream music enthusiast to something more progressive as folk rock music? EASTERN MIRROR: What, according to you, does Nagaland lack in her music industry? EASTERN MIRROR: The making of your debut solo “Christmas wish” in two lines. EASTERN MIRROR: There aren’t that many bands from Mon. What is it about Toxic Peace that you believe can offer something new to capture the attention of music fans in the state? Samuel Konyak: Ya, not a number of bands from Mon.. My Band ‘Toxic Peace’ is a progressive Rock Fusion Band. We love to experiment with our expression and at the same time, throw in some traditional touches. We write about social and political issues relevant to our society. Musically, a typical Toxic peace song has surprises within the song. We have played a couple of shows outside and the respond was good and people really liked our song…. 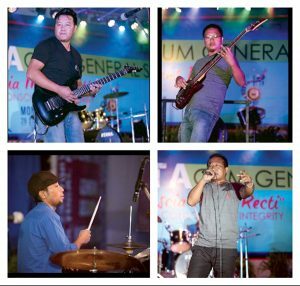 EASTERN MIRROR: What do you wish that bands in Nagaland could have were they given a choice? Samuel Konyak: My wish is,,(sight) the ability and channel to market our Music.